Powerball winners are some of the luckiest lottery winners around the world. Whoever participates in this lottery knows that the sizes of the jackpots are bigger than the sizes of any other lottery in the world. While the jackpot rolls over and can cross the billion mark as well, the most common Powerball jackpots are nine figure wins. Not to mention, you can still take the life-changing rollercoaster ride if you win the jackpot without any rollovers. Right from the start the Powerball jackpot is a huge $40 million, a figure that some of the big lotteries achieve only after several rollovers. So, there were some people who had the time of their lives when they won the Powerball jackpot in 2018. These people are probably free from all the financial worries they had before their jackpot win. Some of the biggest Powerball winners of 2018 are as under. You don’t usually see people feeling guilty for winning. However, this man had some guilt because he thought all the money that could have gone to someone else came to him. But the moments of guilt are not to last long because Steven Nickel because soon he will be deciding where to put the money and get the best return. The draw for a jackpot of $150 million took place on June 20, 2018. The winning numbers on Steven’s ticket matched the jackpot numbers with 14, 23, 27, 56, 4 – 13 (Powerball) and a 2x Power Play. Steven is on cloud nine with this win because he is the only winner in the first prize category. Steven checked the ticket twice. Once, it was the retailer who informed him that he had won something big. In his mind, he was planning a gift for his wife. Little did he know he had won a treasure. The couple is acting as professionally as it can after the win by hiring the required professionals such as an attorney, accountant, financial advisor, etc. Of course, the total amount after the taxes will be much smaller, but the couple is definitely taking home more than $60 million. Surprisingly, there was no one to match only the five numbers and win in the second prize category on that day. However, there was someone who matched the five numbers and was playing with the Power Play. 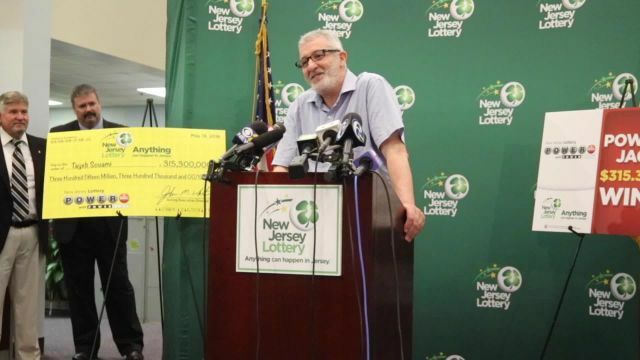 This lucky person went away with $2 million. There was only one winner to win the $2 million. In addition to that, there were 10 people who took home a huge amount of $100,000 by matching four numbers and the Powerball with a 2x Power Play. Isn’t it amazing to be able to win $100,000 while landing in the third prize category? There were 11 people in the third prize category without the Power Play, and these players received a reward of $50,000. The $150 million won by Steven makes him the third largest Powerball lottery winner in Oregon. There is no novel or book more interesting than the stories you will hear about people whose lives are changed by million dollar jackpots. The story of Souami, the sole winner of the gigantic $315 million jackpot, is one of those amazing stories. You never know when a small thing you do might win you millions. Souami only went back to the store to return the juice that cost him around $5. He heard his wife saying that they could get the same juice for much cheaper at some other place. While returning the juice, he spent $2.50 to buy Powerball tickets – two of them. He could have never imagined that one of the tickets he had bought was going to make him a multi-millionaire on the coming Saturday. The numbers that won him the $315 million jackpot were 3, 6, 9, 17, 56 – 25 (Powerball) and a Power Play of 3x. He might not have won this money had he bought only one ticket. However, the winner had a feeling of being lucky that day when he saw that the jackpot had become a huge $315. He purchased the tickets without much thought. The reason why the family was saving even $2.50 was because of the home renovation and the college fees of their daughter. In addition to Souami’s big win, this draw was lucky for some more people. There were five people who landed in the second prize category and walked away with $1 million each. People who matched on the Powerball and four regular numbers and won the third prize of $50,000 – there were 35 of these winners. Unfortunately, no one was able to win the second prize with Power Play, so the $2 million prize remained intact. However, with 3x Power Play, the people landing in the third prize winning category got lucky for sure. There were 14 of these people who matched the Powerball and four regular numbers with the Power Play. Each of these winners was now $150,000 richer. Souami’s win is a perfect example of how lottery is a game of luck. The best day to purchase your first lottery ticket is when you are feeling lucky. Rather than thinking pessimistically about your win, you should focus on the positive side of things. When you feel lucky, you should just go ahead and grab a couple of tickets. After that, you should hope for the best. Yes, patience often pays off too, but it does not completely invalidate the fact that a person can win with his/her first ticket as well. And just like these winners, you will never know that you are going to be the next millionaire. The one thing you must remember is to take help from professionals as soon as you win something big. You don’t want to get into tax-related troubles by trying to manage things on your own. So, if you are feeling lucky today, go ahead and mark your numbers on the play slips and join the race of becoming the next big millionaire of the US.